These bright plastic streamers are great for lightweight models! Durable and easy to construct, comes with complete instructions. 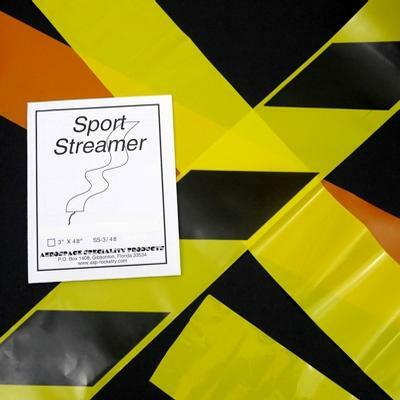 When packed according to directions, the streamer will practically pop open after ejection! Fits easily into a model with a T-20 or T-50 size body tube, length can be trimmed to also make an easy fit into a T-5 size bird. Bulk quantities of three or more come in one package with a single set of instructions (which you can photocopy if desired for use by mutiple modelers). Use the pull-down menu to select color. Bulk packs you can chose all to be one color or assorted colors.